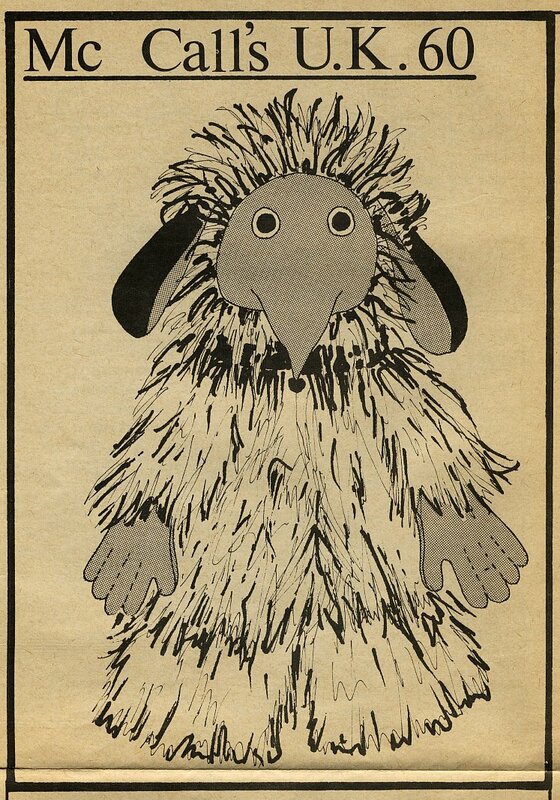 The Wombles are furry fictional characters from a series of children's books written by Elisabeth Beresford and originally published from 1968 to 1976. They live in underground burrows and recycle discarded objects in creative ways - what would be referred to today as upcycling. The stories were adapted into a BBC television series in the 1970s, and the Wombles also occasionally appeared in the US on the Captain Kangaroo TV show. 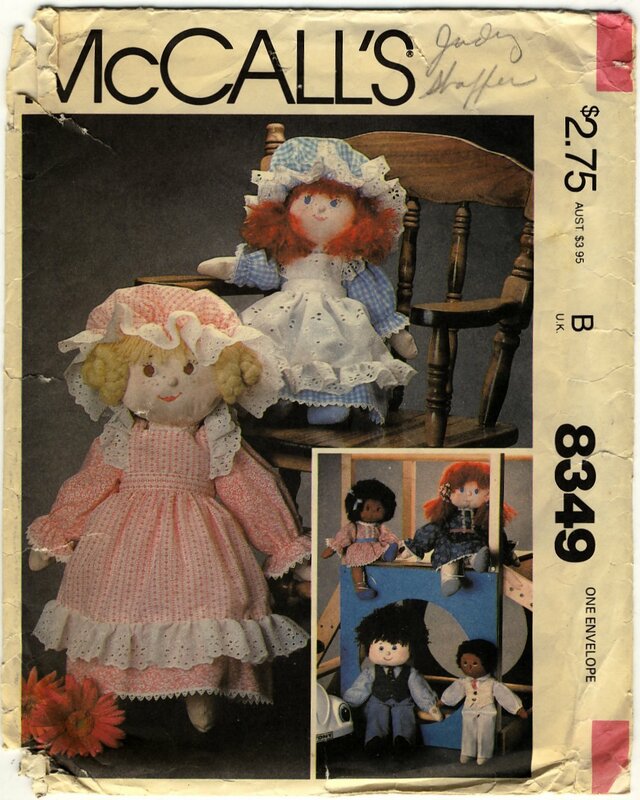 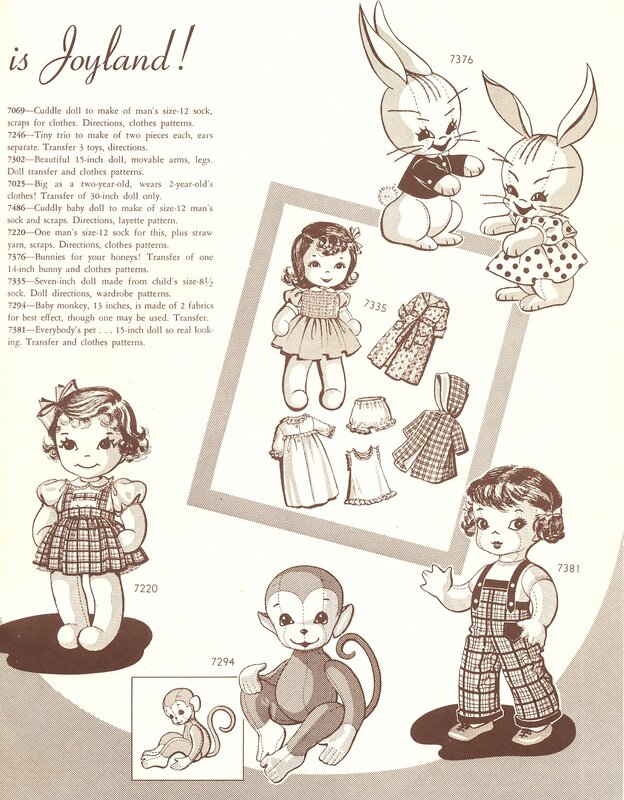 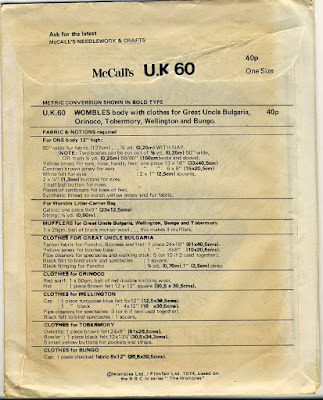 McCall's pattern #4780 (issued in the United Kingdom as UK60), makes a 12" doll with clothing and accessories to make up five different Wombles characters. 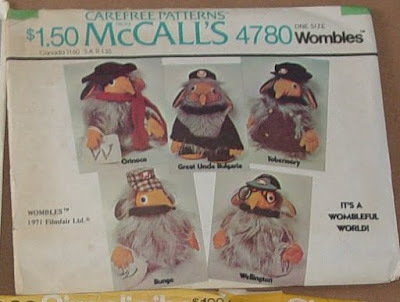 The instructions call for the Wombles body to be made of long pile faux fur with jersey knit face, ears, hands and feet. Buttons are to be used for the eyes and nose, with circles of felt for the whites of the eyes. 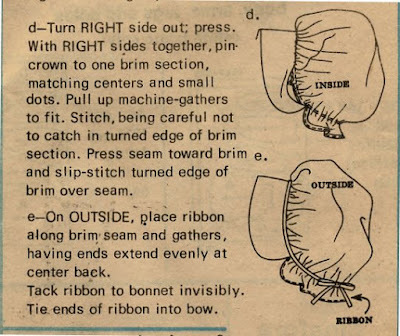 The seaming is unusual and fairly complex, but there are no joints to worry about. 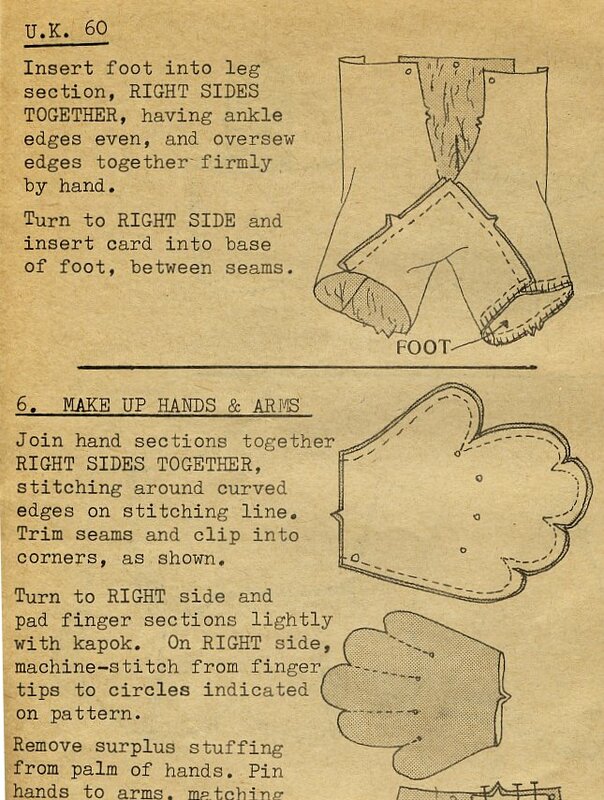 The hands have stitched lines to indicate fingers. 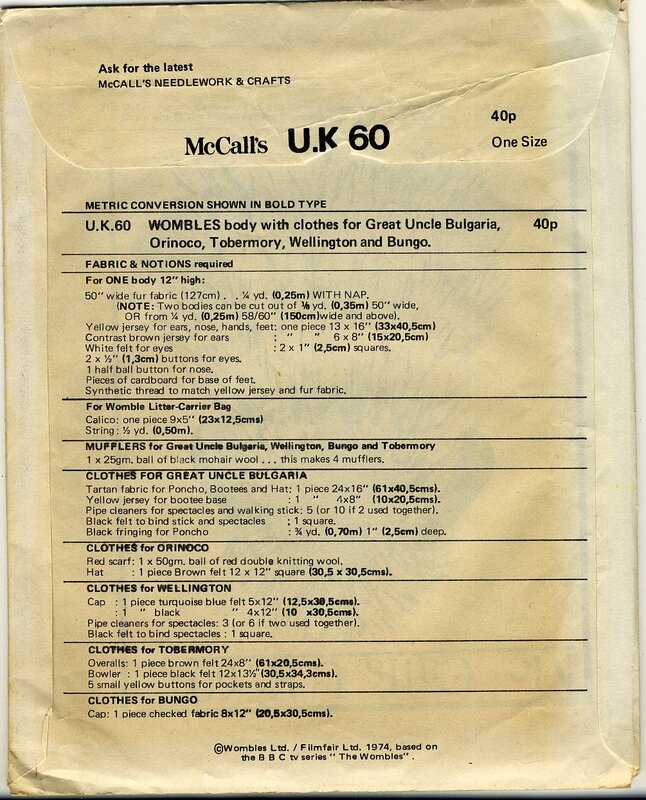 The clothing pieces are to be made primarily of felt, except for Uncle Bulgaria's tartan costume. 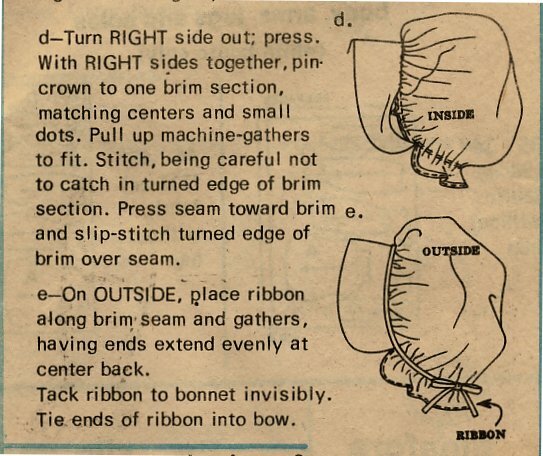 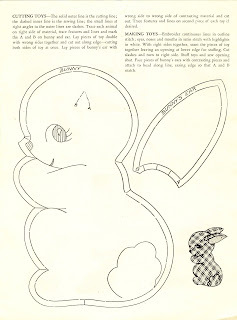 Knitting instructions are given to make mufflers and a scarf. Spectacles and walking stick are made from pipe cleaners wrapped in felt. 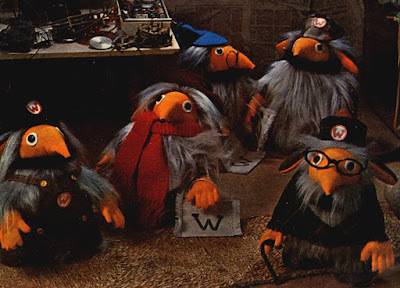 The Wombles are cute and their story line makes them even more interesting. 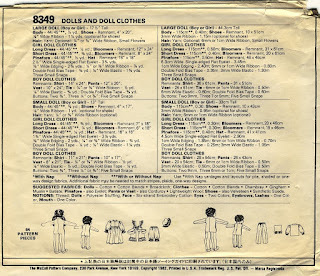 I question the recommendation to use jersey for parts of the dolls, as it seems too lightweight and stretchy unless you are stuffing very loosely. 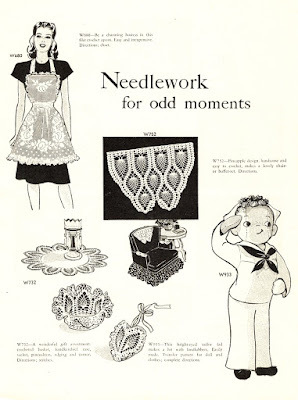 I would go for a heavier, more stable knit. 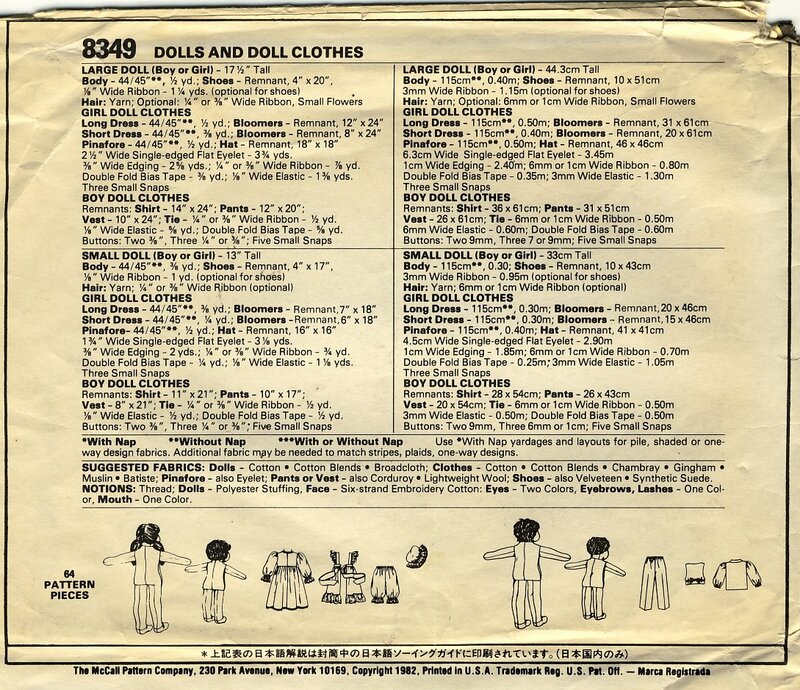 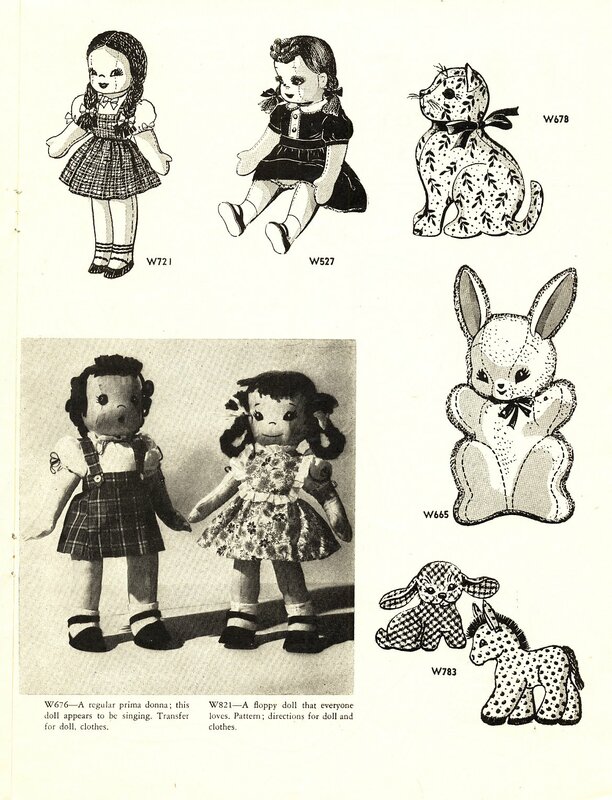 The pattern calls for the doll to be stuffed with kapok, but that's expensive and not easily available these days, so fiberfill (recycled, of course!) 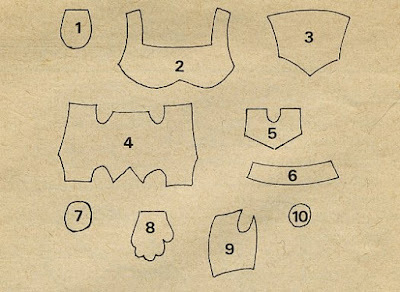 might be a better option. 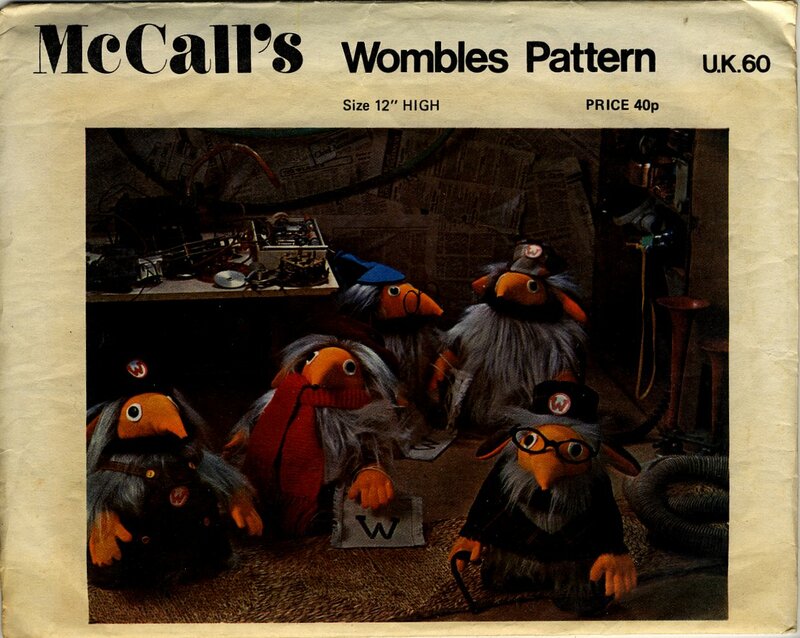 Find Wombles patterns on eBay! 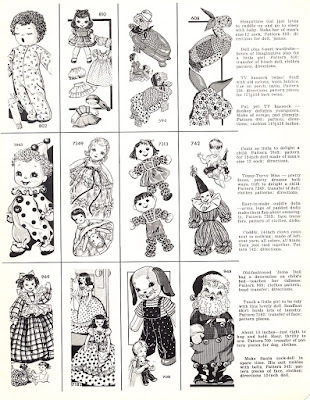 These pages are from an undated Laura Wheeler catalog. 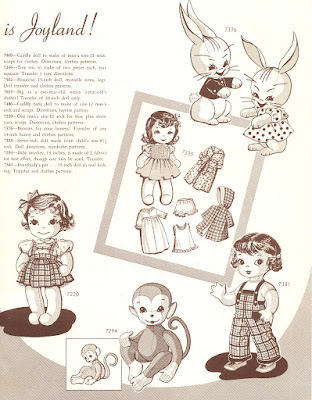 Judging by the hair and clothing styles, it is from the 1940s. 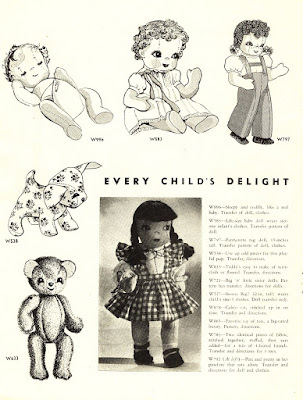 Laura Wheeler was one of the names used by Reader Mail, Inc., which advertised patterns in newspapers throughout the U.S. 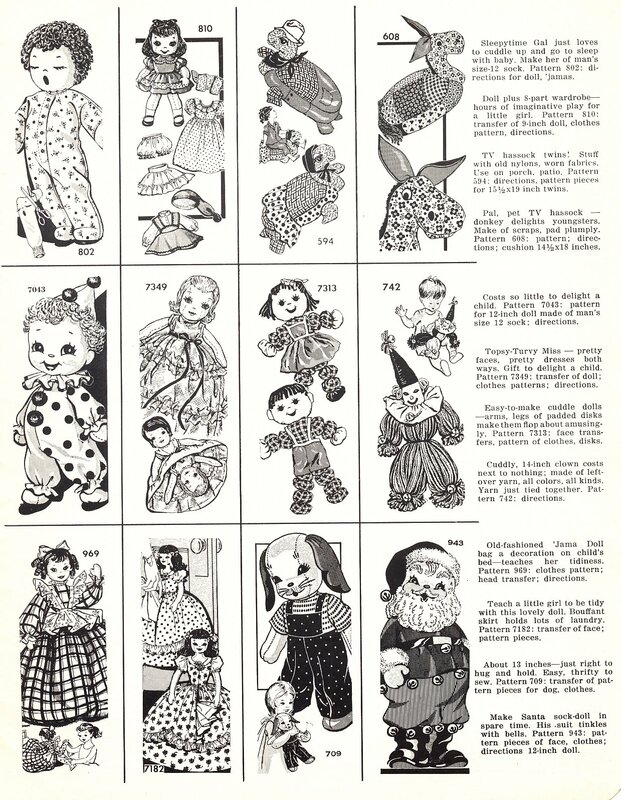 The patterns are priced at 15 cents each. The cloth dolls are all baseball head style. 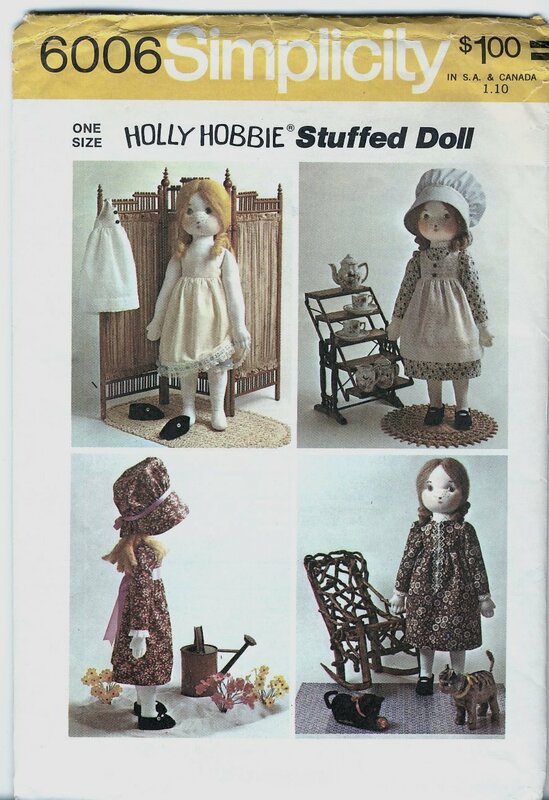 Simplicity pattern 6006 makes a Holly Hobbie doll with her wardrobe. 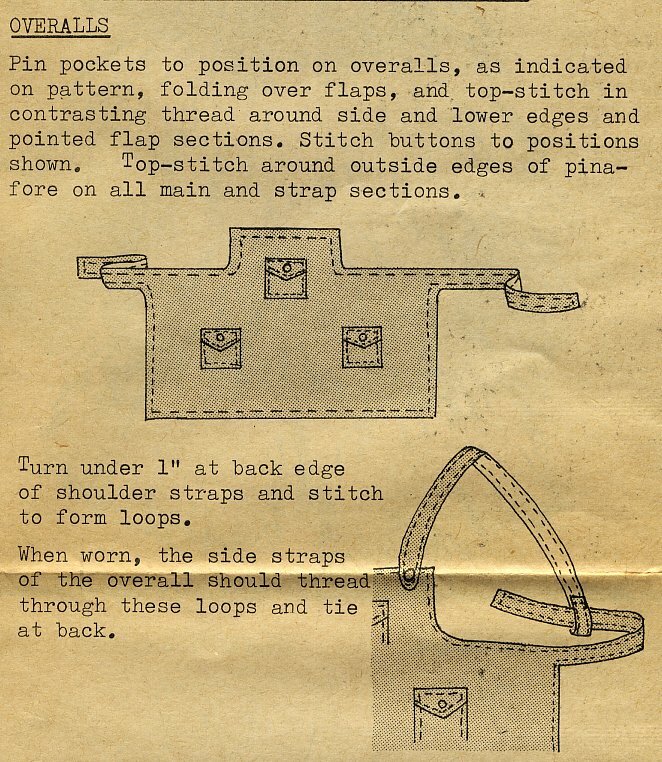 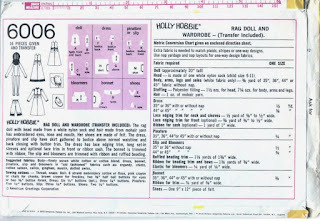 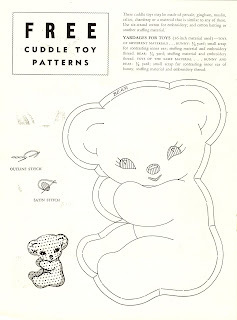 Several patterns have been issued over the years to make Holly, but this was the first one. It is dated 1973. 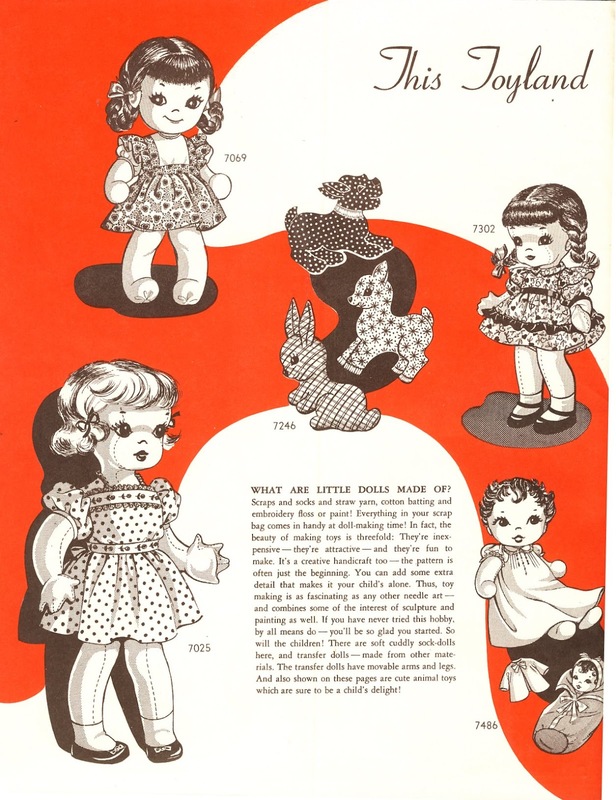 There is no size given on the pattern, but the doll makes up to be about 20" tall. 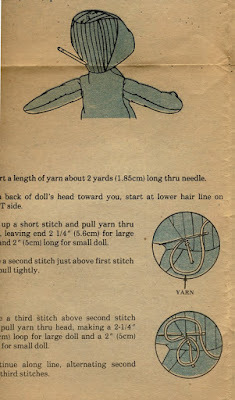 She has an unusual construction in that her head is to be made from a sock, while the rest of her is regular woven fabric. 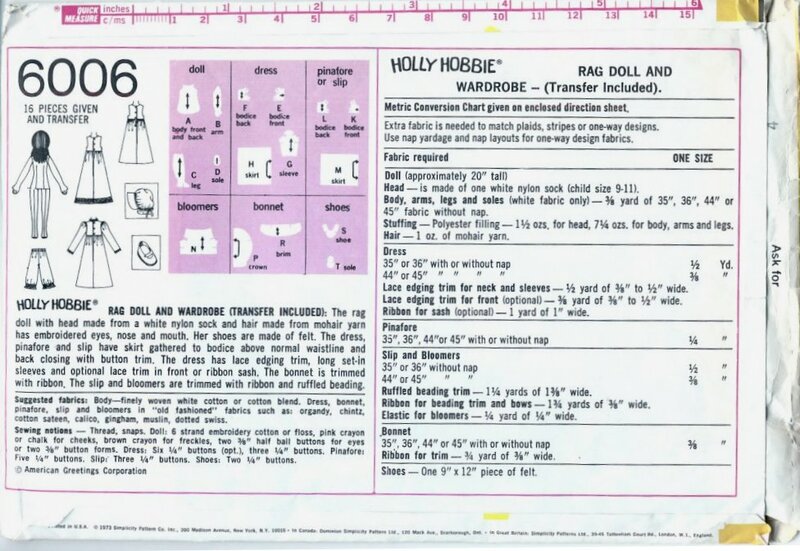 Darts add some shape to her torso. 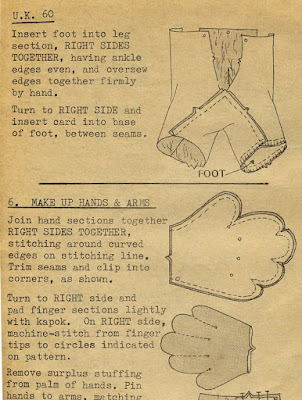 She has mitten hands with stitching to indicate fingers, and flat soled feet. 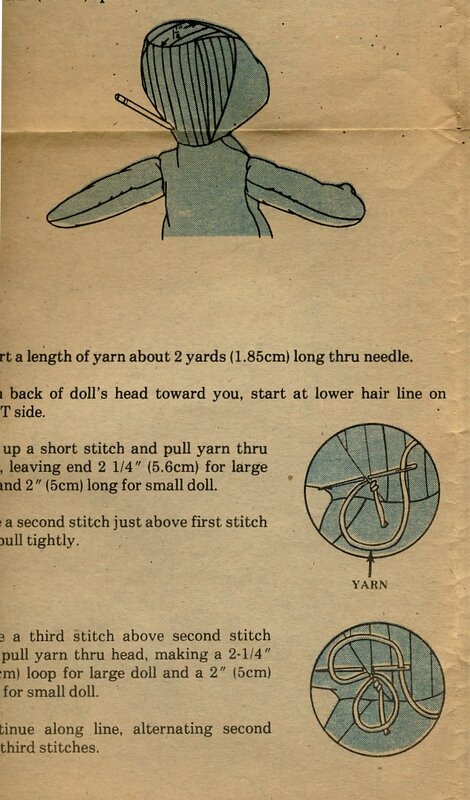 The maker is instructed to put two rows of running stitches around the doll's head at the level of her eyes. 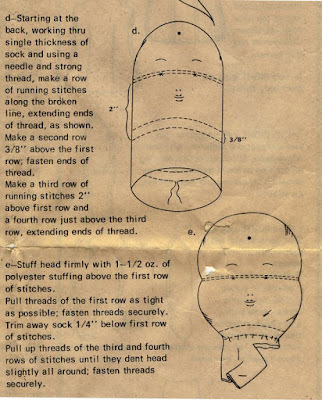 This is meant to give the head some shape. She has embroidered features. 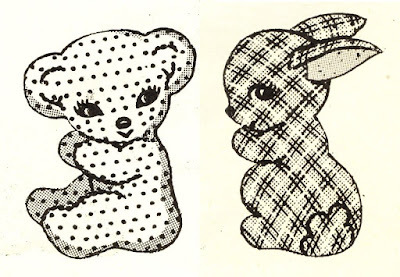 Buttons can be used for her eyes; or her eyes can be embroidered onto scraps of fabric that are then used to cover buttons, which are then attached for eyes. 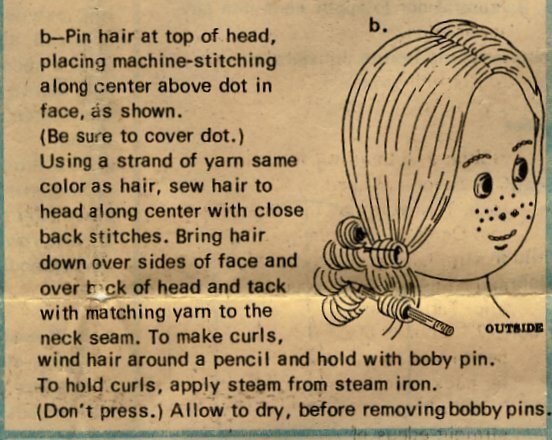 Holly has yarn hair steamed into curls. 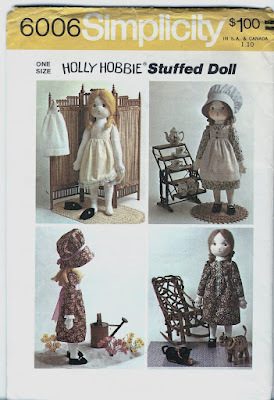 Holly's wardrobe consists of a long slip and pinafore (made from the same pattern pieces), a long sleeved dress, bloomers, poke bonnet, and felt Mary Jane style shoes. 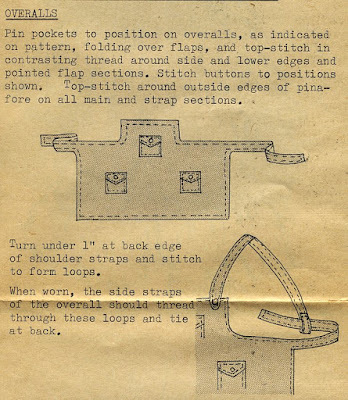 The underwear has ribbon inserted into eyelet lace for trim. I have seen several of these dolls made up, and in my opinion they are some of the ugliest vintage cloth dolls I've ever encountered. 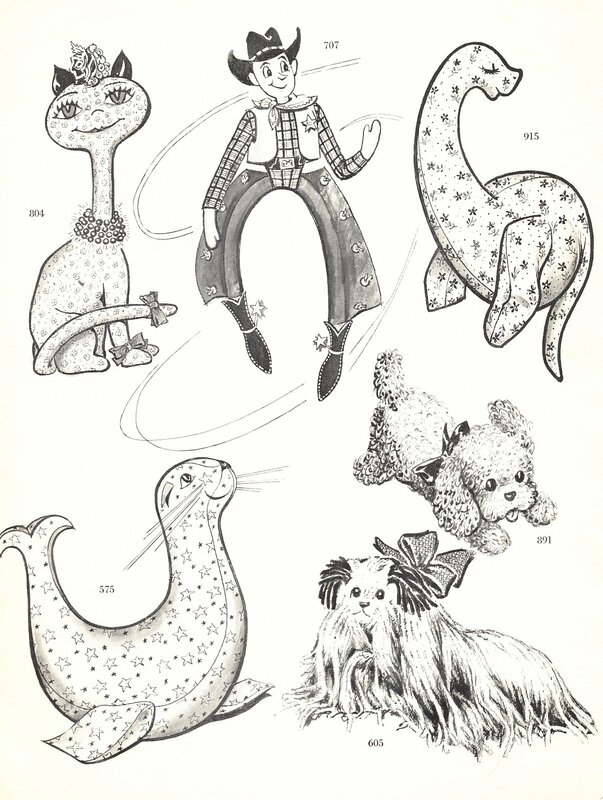 The shaping of the head, the embroidered covered button eyes and the French knot nostrils are just plain weird. But then again, some people like weird! For a pattern collector, this is certainly an unusual design.